The Maine Coast is a popular destination during the summer. Enjoy Maine's beaches touring the gorgeous Maine coastline., beautiful cobblestone streets and award-winning restaurants and so much more... Maine offers unique year-round experiences. "Maine, the way life should be"
In Maine, You can spend a night in the city or at a Bed and Breakfast by the bay...... Wake up for a hike in the mountains or a walk on the beach...Relax and see the incredible sunsets or go out for a night on the town... Have a night cap at a little corner spot by the water or coffee at a outdoor cafe' overlooking cobble stone streets, no matter what you choose to do it's a perfect way to end to the day. The beauty of Maine in endless... Local Vendors listed can help you plan that dream vacation or destination wedding. Just Sit Back , Take a Deep Breathe, Relax & Take in the Beauty. No matter where you are in this state or where you go in this state, there's something unique to see. Experience Maine and See Why We Say, "Maine, The Way Life Should Be"
Experience Maine and you'll find why they say "Maine, The Way Life Should Be"
With Lighthouses perched on cliffs looking over sparkling ocean bays, beautiful cobblestone streets and award-winning restaurants, Maine offers unique year-round experiences. Whether you are planning a Maine Vacation or looking for Maine Wedding Venues, our vendors will guide you with the resources you’ll need to plan your unforgettable experience in Maine. 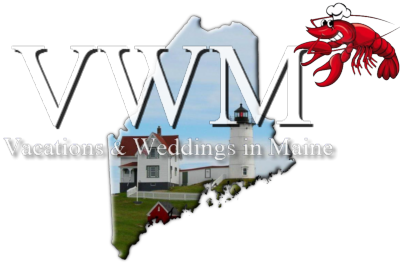 Here are Maine businesses that Vacations and Weddings in Maine has to share with you: Bed & Breakfast, Wedding Cakes, Catering that special event/wedding, Day Tours-Sail Maine, Entertainment, Florists, Golf Courses, Accommodation/Guest Accommodations, Hair Salons, Massage, Nail Salon, Jewelers, Lobster Bakes, Party Boats, Maine Wedding Venues, Party Supplies/Tent Rentals, Pastry for all Occasions, Rehearsal Dinners, Restaurants, Vacation Rentals, Waterfront Venues and Wedding Planning.